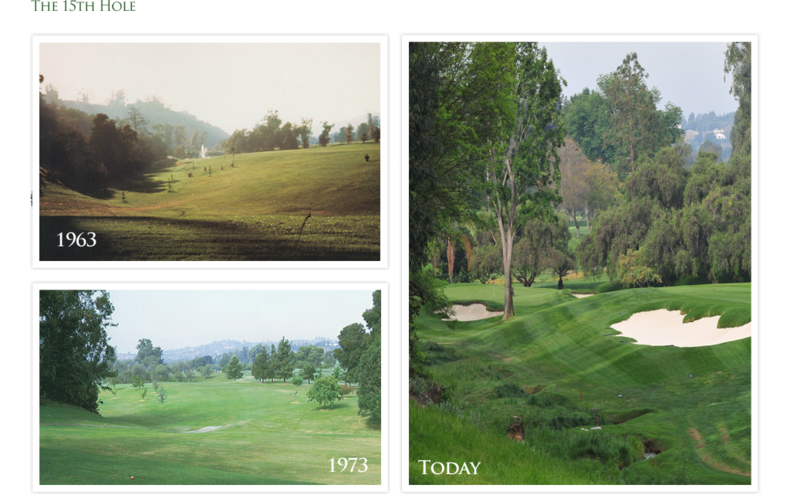 In 2005, Hacienda Golf Club, a William Watson design constructed from 1920 to 1923, began an extensive restoration project under the architectural supervision of John Harbottle III. 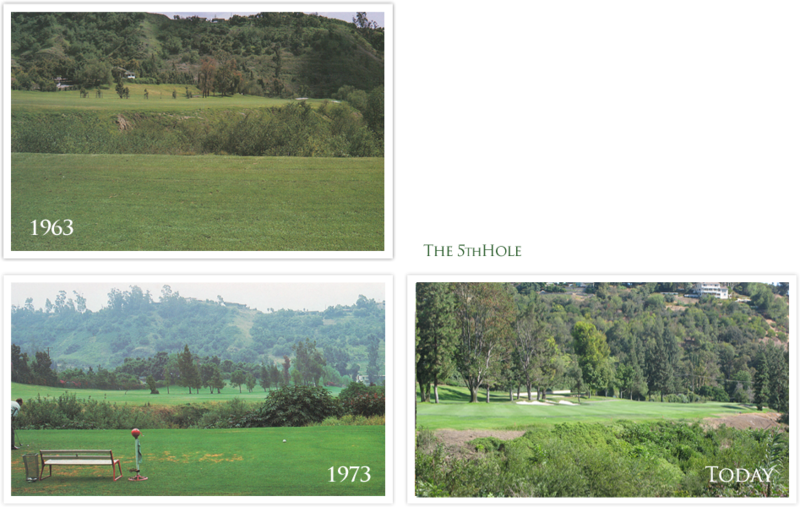 The project began with the restoration of all 18 greens complexes, replacing many of Hacienda’s “push-up” greens (some as old as 70 years) with new greens that meet current United States Golf Association specifications. The greenside bunkering was dramatically restored, with many of the bunkers enlarged and deepened, and all of them re-shaped and contoured to reflect the look of classic era designs from early 20th century golf course architecture. In addition, all of Hacienda’s fairway bunkers, of which there are but a few, were re-shaped, and somewhat relocated to reflect the greater length of shots off the tee from today’s best and strongest players. A few new fairway bunkers were added as well. The coup de grace of the entire project is the restoration of a stream that begins at the easternmost point of the course and meanders west through many holes of play. The flow of water into and through the stream reflects the natural drainage of the course in wet weather, and while restoration of the stream has significantly improved drainage in these areas, it has also restored strategic challenges to holes that are impacted by its location. The Restoration Project also spawned the development of a Golf Course Master Plan that calls for additional improvements to the course and the club’s practice facilities. The plan addresses some cart path re-routing, some improvements to a few holes, and includes significant plans to expand the existing driving range both in its length and its ability to accommodate more players. 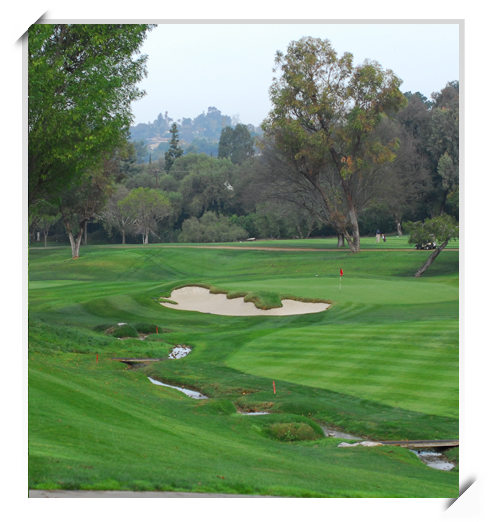 In addition, when the plan is completed, play from the tournament tees will be from well over 7,000 yards. During the restoration process John Harbottle has displayed an unfailing appreciation for Hacienda’s place among Southern California’s historic, classical age designs. While his work continues to make an enormous impact on the quality of Hacienda’s championship play, he has at all times been insistent that the golf course remain true to its character as a Willie Watson design. The addition of significant yardage to an already challenging golf course, the rebuilding of every green and greens complex to current USGA specifications, the removal of trees for agronomic and sometimes strategic reasons, the redesign of every bunker to reflect the original look of classical age courses from the early 20th century, and the complete rebuilding of an elegant clubhouse that sits atop the hill overlooking the canyon and the golf course, have all combined to return Hacienda Golf Club to its former place as one of Southern California’s finest clubs and greatest Golden Era designs.